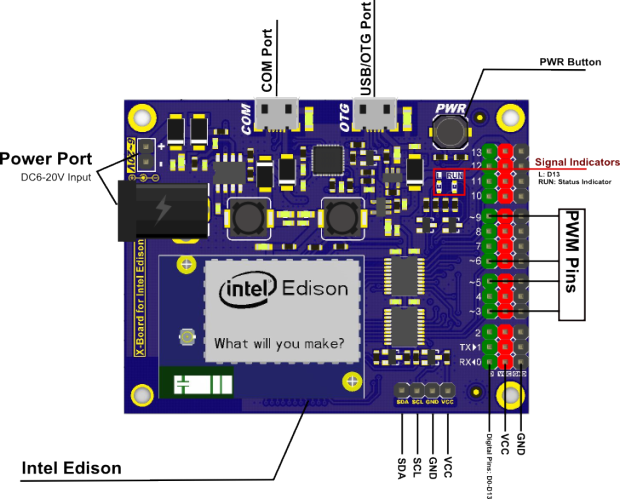 The tiny, powerful Intel Edison platform has been a bit difficult to interface with. 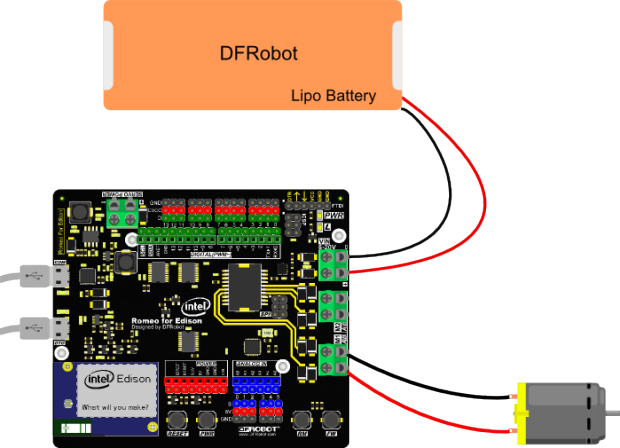 But now two new breakout boards from DFRobot vie to become the robotics community’s must-have Edison connection. 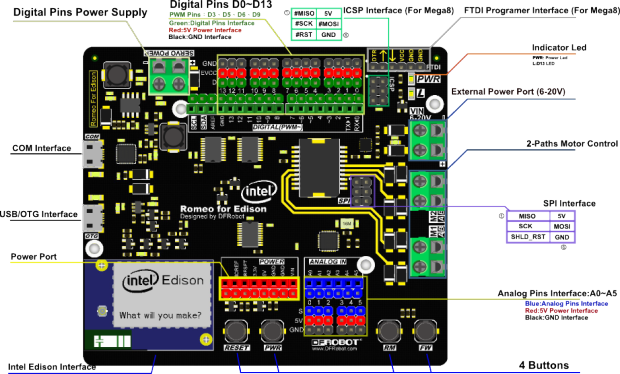 Since its debut a few months ago, the most common ways to work with Edison are two breakout boards available from Intel and the Block System from SparkFun, which seem to be out of stock more often than not. More and more accessories and breakout boards are becoming available; and more and more manufacturing houses are producing their custom approach to solving the difficulty of connecting to the Edison. The latest two breakout board offerings come from DFRobot, a Chinese based company who offers all sorts of maker-related products. 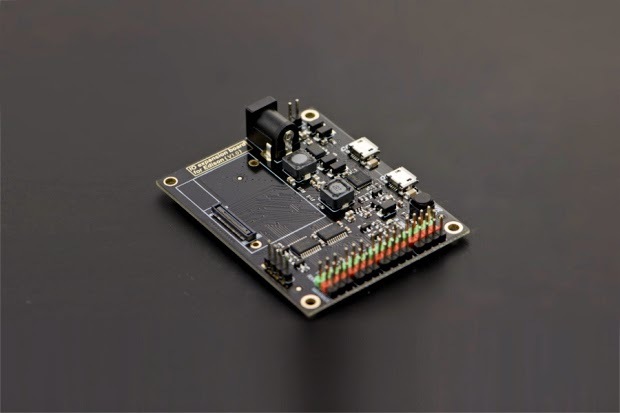 While their new breakout boards may not be the obvious choice for all of your Edison based projects, they certainly should be contenders, especially if you are building a robotics platform. The first new board by DFRobot is the Romeo for Edison. For those unfamiliar with the Romeo line of boards, they are essentially a line of motor controllers with I/O breakouts to accommodate most basic robotics needs. While there are other boards in the Romeo line, this is the first board to accommodate the 70-pin Hirose header for Intel Edison Looking closely at the board layout above, you’ll notice the Romeo board breaks out header pins in an Arduino UNO Rev. 3 fashion. Above is a fine example of how this board is useful in rapid prototyping — the Romeo board easily connects to a battery and DC motor, something that’s not too easy with any individual extant breakout board. 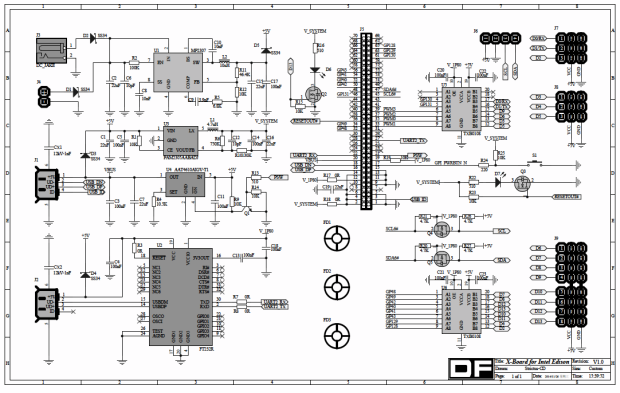 In addition to easy wiring, another great feature is that the board is Open Hardware, with available schematics. The second board from DFRobot, the I/O Expansion shield is a more standard breakout board that pins-out familiar Arduino GPIO (General Purpose Input/Output), though in an unfamiliar, linear arrangement — this, however, is most likely done to keep the dimensions of the board as small as possible. 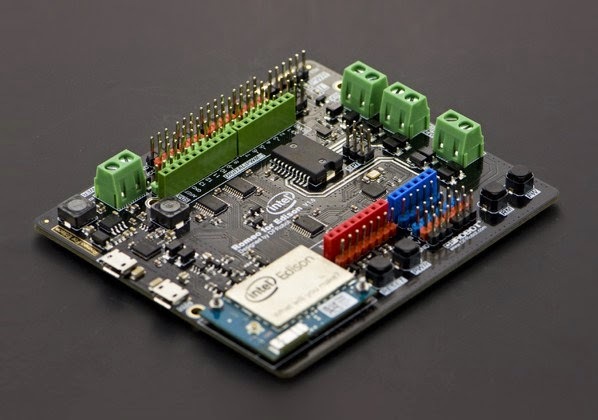 Unlike the smaller form factor board available from Intel, the DFRobot board populates the header pins for ease and accessibility. In addition to the low cost of this breakout board — at the time of writing, below $14.00 — it is also Open Hardware, just like the Romeo board, which cost quite a bit more — nearly $75.00. Both boards are available now, however, DFRobot along with many Chinese distributors is observing the Chinese New Year until February 25th and will not be shipping boards until that date.